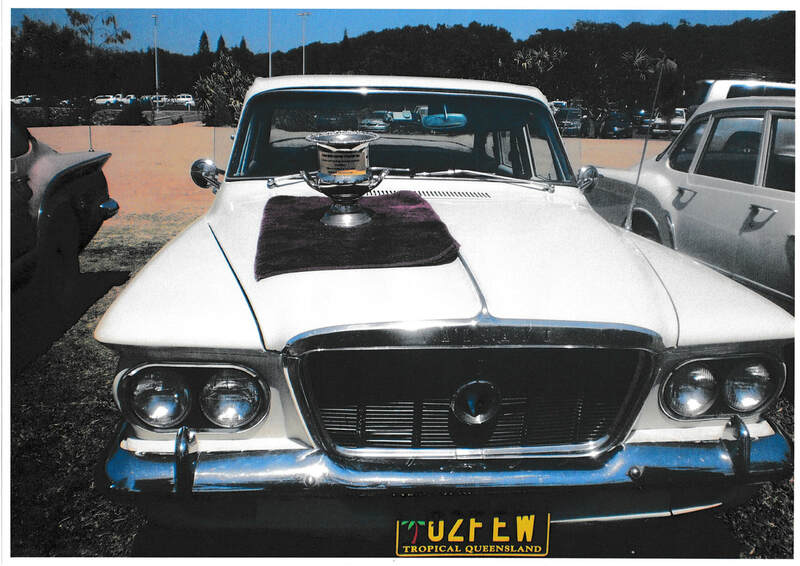 News - Queensland R & S Valiant Car Club Inc. Most of you would know by now that long term Treasurer and Spare Parts Officer Peter Lyle passed away on November 21st 2017. Peter was treasurer of the car club for we are not sure how long, but it must be 20 years at least, and one of his greatest satisfactions was to read every year at the bottom of the letter from the auditor that the auditor commended him on a well kept set of books. ​As Spare Parts Officer, he built up the spare parts to a large shed full from the shoe box that he had inherited 25 years ago. He always tried to send out parts as soon as members called and asked, and if he didn't have a part in stock he would try to source it or suggest where one might be available. ​Peter's 02FEW S Valiant was well known in the club and he loved driving it on the many occasions that he and Jennifer went on runs with the club. ​A farewell service was held for Peter at his home attended by about seventy of his friends from the local area, members of his car club and relatives from all over. ​Peter is remembered by the club with great affection as a very funny man, good company, a good story teller, an excellent treasurer and spare parts officer, and a very nice person who is already missed. Life in the car club won’t be the same without him.